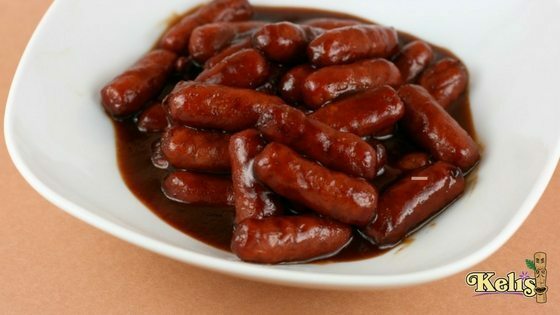 Place miniature smoked sausage links into a slow cooker. Add pineapple chunks and Pineapple Hawaiian Luau Teriyaki, & or Pele’s Fire Hot Teriyaki. Cook on high heat until heated through 2 to 3 hours.